During my short vacation in the Philippines, I wanted to have a real fun time with my family and friends. I figured that with the summer almost over, it is mandatory for us to go for a swim. I wanted something different, something that both adults and children would enjoy – BEACH! 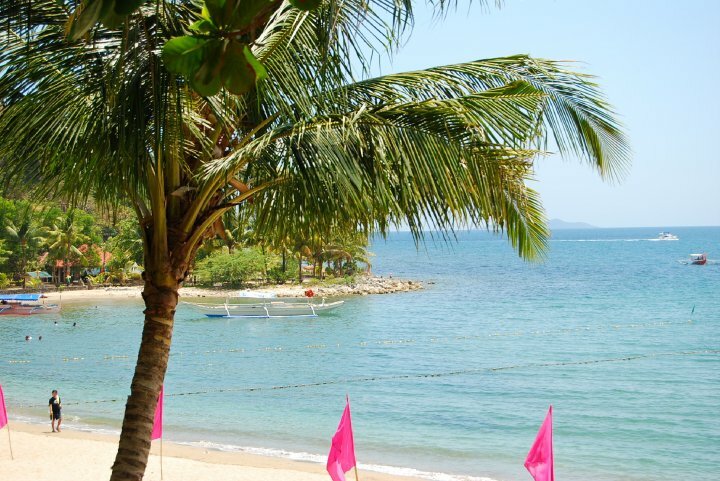 Seeing a lot of photos from my friends on facebook having gone to Punta Fuego, I inquired about it thru my cousin’s cousin and she immediately helped me out to get everything done – the reservations et al. 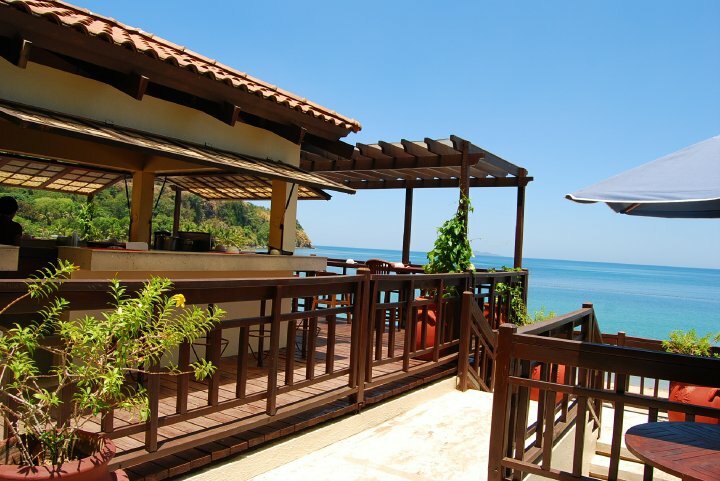 So off we went to the exclusive Punta Fuego resort in Nasugbu, Batangas. The Ambiance: the humidity was like a plastic enveloping your whole self as soon as you get out of your air conditioned vehicle. Seeing trees and endless sea in front of you makes you want to think that yes, it will be a different non-sweaty summer day in the Philippines. The beach has a fine sand (although not white) but it won’t hurt your feet with the exception of course when it’s already noontime and the blast of the sunshine is at its peak, making this sand burn like coal. 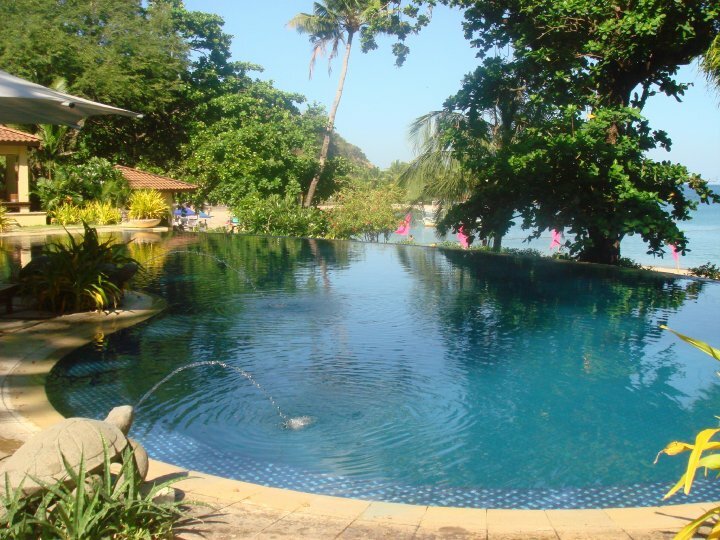 The beach water was a bit itchy though so we stayed mostly at the chlorine-smelling infinity pool. There were tree branches hovering the pool so it really is a good place to relax without sweating it all out. It’s different, it’s nice and relaxing. Staff: the guy at the reception who was filling in for the receptionist was very good. He was at the reception area in the morning, I saw him sweeping the grounds mid-morning and was serving us food by noon at the restaurant. Now at the restaurant, except for this one-man-show guy (I believe his name was Ayjel? or sounds something like that) all the other waiters were like zombies walking around the restaurant. There was no hint of smile on their faces, not in a snobbish way but they were just all lacking something… like some monster sucked the life out of them before they went to work. They will give you blank faces when you ask for the bill, they will walk right past you even if you’ve been waving your hand in front of their freaking faces to ask for a glass of water (most of the time, it was my 11 year old niece who served us our water :p) and they will walk away like nothing happened when you give them a tip. They all lacked energy, fun and everything that humans need to get on with life. Vitamins anyone?? It’s a shame to get that kind of service from an “exclusive” resort. Food: was great, absolutely great. A plateful of seafood with meat (i forgot what it’s called, but it was priced PHP1850.00) was good for 6 people. 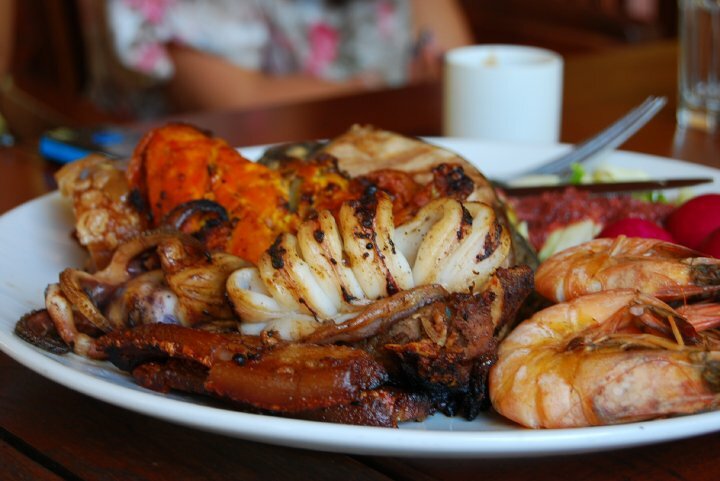 Everything was cooked well and all the seafood which came with it were all fresh. I’ve got nothing against the food as it surpassed my expectation – or probably i was just missing an authentic Filipino meal. Amenities: the infinity pool smelled of chlorine but nobody ever complained of getting itchy, so i guess it’s ok. 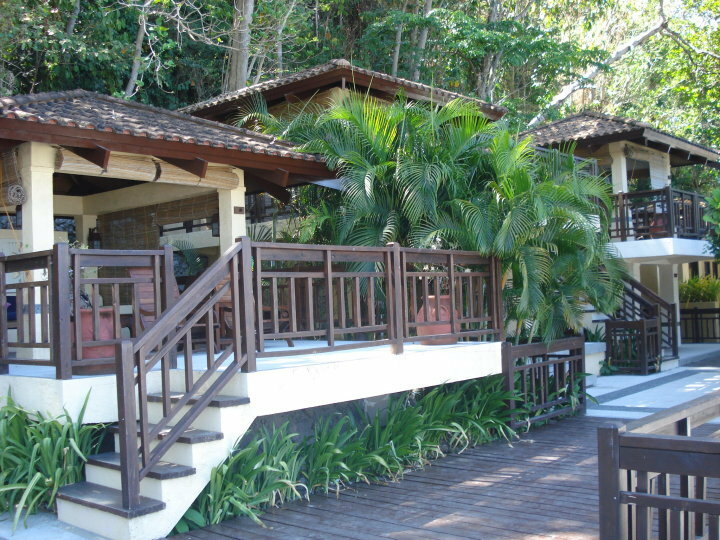 They have a long and wide beachfront with a great view, the whole property was surrounded by big trees which makes your stay there kind of refreshing. The cabana (priced at PHP1500 big enough to fit all of us, 21 people in all – although we were never in there all at once) was uniquely designed with real home furnishings. Everything’s all good until I went inside their shower room. The shower knobs were broken, the cubicle I was in was clogged and dirty, some of the faucets weren’t working well and of course some faucet knobs were also broken, not to mention the sink which needs some scrubbing. It’s not the shower room I’m expecting from an “exclusive” resort. 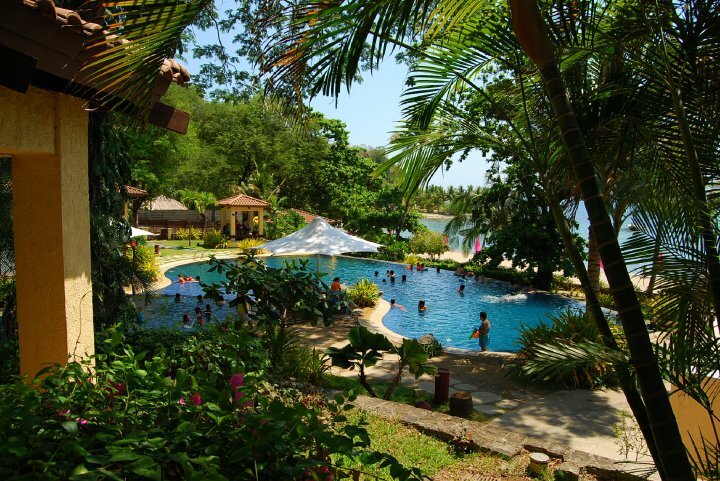 Price: was relatively cheap for an exclusive resort which is getting too much hype nowadays. It’s a good value for money although the shower room was a bit disappointing. :p I really can’t get over that shower room. Rating: I’d give it a 7 out of 10. 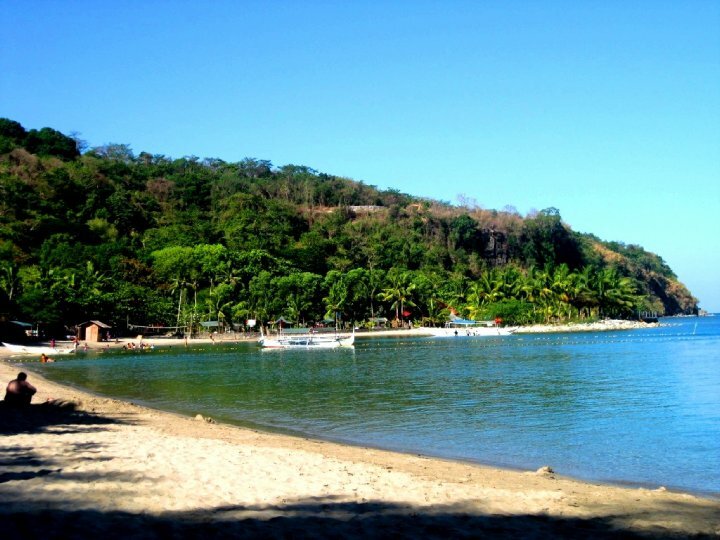 This may probably be the best resort that you can get yourself into in Batangas, in the whole of Batangas. Although I hope they do something about those lifeless restaurant staff and the filthy shower rooms.